Indian journalist, Bhaskar Roy, in an article published in ‘The Times Of India’ (11 December), writes about recent political disturbances over the creation of a separate Telangana state and how a hunger strike is being used to advance the cause of one side. References to ‘the Centre’ are about the national government. 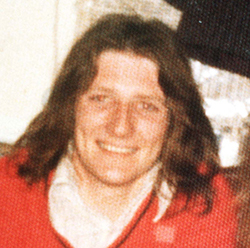 “I’ve read all the papers, they’ve told me of your tears” – the line from a moving song about the brave death of Bobby Sands and nine fellow Irish activists after 66 days of hunger strike in a British prison in 1981, still reverberates. When Telangana Rashtra Samithi leader K Chandrasekhar Rao began to sink after 11 days of fasting in a Hyderabad hospital on Wednesday, the power of hunger strike as a weapon of protest got underscored yet again. The midnight announcement by the Centre conceding a separate Telangana state was a throwback to many intense moments of history when dour men chose to fast to bring their mighty opponents down to their knees. 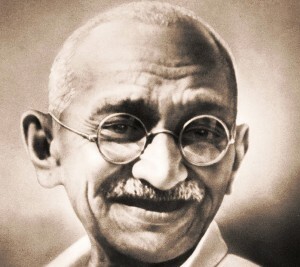 Mahatma Gandhi was the first to recognise the power of fast as a political tool, and used it frequently to have his way. Protesting the ‘communal award’ of 1932 by the colonial rulers to give separate representation to the ‘untouchables’ in provincial legislatures, he undertook a fast that led to the Poona Pact by which untouchable leaders renounced separate representation. He took the same route again in 1943 and fasted for 21 days as a “penance for deadlock” between the Viceroy and Indian leaders. This was a turning point in the freedom struggle. Lodged in Lahore jail, revolutionary Jatin Das began his hunger strike on July 13, 1929 and died on September 13. His death fired the imagination of the Indian youth, unleashing a new wave of protests. After Independence, the first leader to succumb to hunger strike was Potti Sriramulu, a Gandhian who protested the Centre’s indifference to the demand for a separate Andhra Pradesh. He began his fast on October 19, 1952 and died on December 15. His death threw the Andhra region into turmoil, triggering off violent protests that finally led to the creation of Andhra Pradesh. Another martyr to the cause of statehood in free India was Darshan Singh Pheruman, the Sikh leader who began his fast on August 15, 1969 on issues like Chandigarh and Bhakra Nangal water and died on October 27 — the 74th day of his hunger strike. At the height of the movement for a separate Punjabi-speaking state, Sant Fateh Singh began his fast on December 18, 1960 and ended it on January 9, 1961 after an assurance from the Centre. Some of the leaders were successful in getting their demands conceded while many failed. Handed down by the Mahatma, fast is still considered an effective weapon of protest by leaders of such movements. At the height of the movement against forcible land acquisition in West Bengal, Trinamool Congress leader Mamata Banerjee was on hunger strike for 25 days. Her ‘act of courage’ radically changed the complexion of the state’s politics pushing the ruling Left to a corner.